This is the tenth and final paper we will be re-publishing as part of the EMC Society’s History. This project started with the 50th Anniversary of the EMC Society back in 2007. There have been nine reproductions of the “Most Referenced Transactions Papers of the EMC Society” and in this issue, we are pleased to present the tenth most-referenced paper. 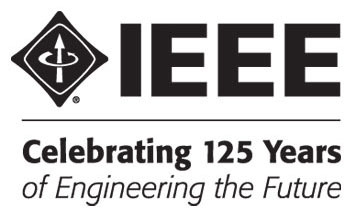 The publishing of these papers is a continuation of the 50th Anniversary Celebration of the EMC Society of the IEEE (1957–2007). The papers were originally published in the IEEE Transactions on Electromagnetic Compatibility. H. J. Price, and S. H. Gurbaxani. Pages 189–195 by Myron (Mike) L. Crawford. No. 4, November – 1976, Pages 183–190 by Clayton R.
No. 4, November – 1991, Pages 366–370 by Joseph G.
Myron L. Crawford, and Robert T. Johnk. 1998, Pages 209–217 by David A. Hill. In this issue, we are publishing the Tenth Most-Referenced EMC Society Transactions paper of the first fifty years of the EMC Society. The paper is titled, “Calculation of Site Attenuation from Antenna Factors.” The paper was written by Albert A. Smith, Jr., Robert “Bob” F. German, and J.B. “Barry” Pate. It was published in Volume EMC-24, No. 3, in August of 1982.